If you’ve been following me for a few weeks now you know that I’m ALL about Disneybounding. It’s become a passion and a hobby here at home with me and Victoria. The more we’re doing this, the more I’m getting the question, “What is Disneybounding?” I get it, I didn’t know about this big world of Disneybounding until a few years ago. And I’ve got to be honest with you – now that I’m in it, I love it! I’ve been having so much fun with my daughter and we will keep pushing forward with it. So what is Disneybounding all about? 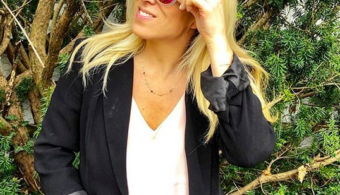 DisneyBound is meant to be Disney inspiration for you to pull together your own outfits which work for your body and wallet whether from your closet or local mall. So essentially you pick your favorite Disney character and create a “costume” or stylish look around whomever it is! You actually don’t dress IN the costume, but you dress inspired by the costume. That’s the beauty of Disneybounding. You become inspired and then you create something gorgeous and beautiful and within your style! We’ve already done (3) of them on our own – Minnie Mouse, Snow White and Mary Poppins. I’m telling you right now – we had a blast working on these 3 looks together! We laughed and enjoyed the process as a duo! I think my favorite of all was the Snow White one and I really loved it. It was super cute and full of memories for us on this one! I pulled a yellow tutu skirt, red bow headband, navy lace blouse, red strappy heels and red lipstick! This is how we do these photos, too – Victoria wears the costume, I share the Disneybounding inspiration! Check out my Snow White post here. For Mary Poppins? This was an awesome one! I literally went on Amazon.com and searched “Mary Poppins skirt” – “Mary Poppins Shirt” – Mary Poppins umbrella” – everything! I had a blast because I knew exactly what I was looking for when it came to this one! I knew I needed to make sure I nailed it and really made it worth the money. I didn’t want to spend a ton, so I capped myself at $50 for this look. Victoria is obsessed with Mary Poppins, so this was fun because she just wore her regular costume. Check out the post here. And Minnie Mouse! The iconic mouse! This is how we kicked off our Disneybounding adventure. 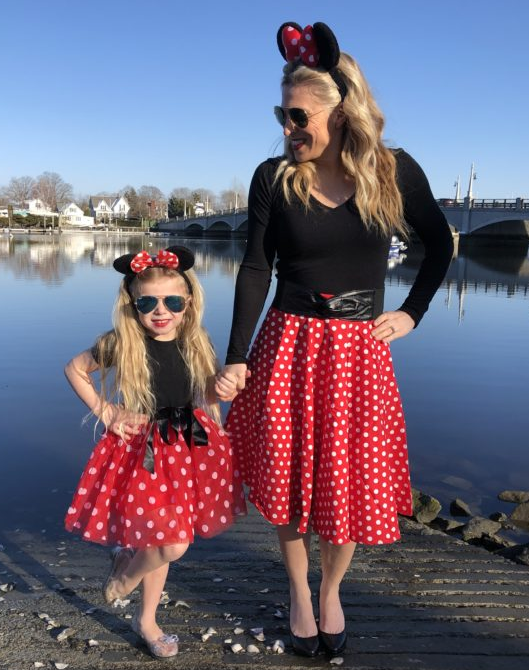 Minnie is the ultimate and I knew that if I wanted to do this with my little one, I wanted to start with her. This is also the easiest to do because all you need is 1) Minnie Ears 2) Red skirt with white polka dots 3) black top! That’s it! This one was a snap to put together. In all honesty – the only thing I really wanted to make sure I had was the red and white polka dots! I felt like that’s what inspires me fashion wise with Minnie. 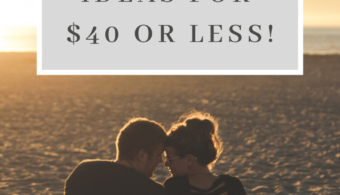 Check out the post here. 1. We decide WHO we want to look at for inspiration. Basically I ask Victoria, “Who do you want to dress up as next?” She has a laundry list of favorite Disney characters, so this is an easy one to do with her. She’ll give me so many, I need to tell her that we need to just pick ONE for the moment. 2. Then I go online and start finding pieces of clothing and styles that inspire me. We chose Tinker Bell for our next one, so I started looking for green skirts. I knew that I wanted to find something whimsical looking and fun. I knew that I wanted to make sure there was some glitter and glitz on it, too. I know that Victoria was excited about having the full costume, but I need to use the costume as inspiration. 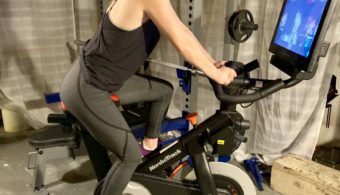 I grabbed a gorgeous green skirt from Amazon.com and then used items I had at home – my own white tank top and black flip flops. 3. After I find the outfit, I start to think of places that I could take the photos at for it. I don’t want them to be just in front of my house. When we were thinking of Tinker Bell, I wanted to find a magical and pretty place. The first thing that came to mind was this beautiful spot in town that has a gazebo and it’s over a cute little pond. I felt like its a magic spot, so it would work well for these photos. 4. And then we shoot away! We have fun together and laugh and just get lost in the magic of it all! I appreciate getting to do this with my girl because we really do just have so much fun getting the photos taken! She was happier than can be to take these photos with me! My little Tinker Bell strutting her stuff and looking magical and fabulous! I love being able to do this and be part of this magical world with her. If you love Disney, this is such a fun way to incorporate it in! I love living in Rhode Island and living out my Disney dream from afar! You don’t have to live near one of the parks to have fun with them! You can really take it upon yourself to create the magic of it all! I’ve been crafting videos of how we put together our looks, so feel free to take a look at those, too. 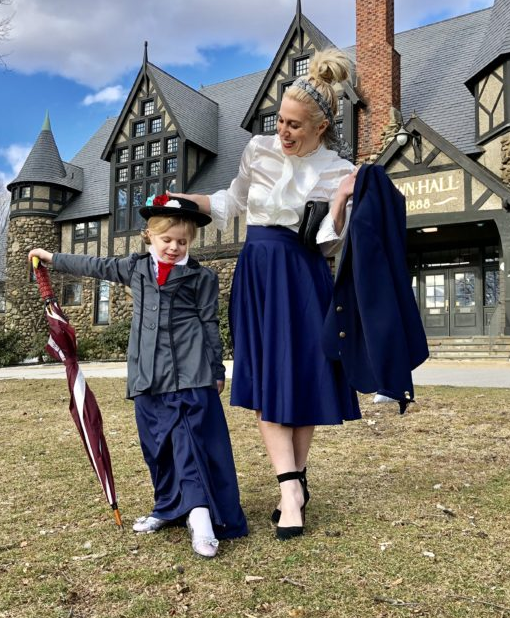 We have such a fun time showcasing what we have on and talking through our Disneybounding look and style! 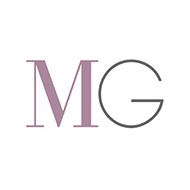 Head on over to our channel for some added fun, we’re at YouTube.com/MomGenerations. And make sure you check out some of the #DisneyStyle and #DisneyFashion hashtags on Instagram, you will find some gorgeous options, too! It’s such a fun way to see people interpret Disney and make it their own. 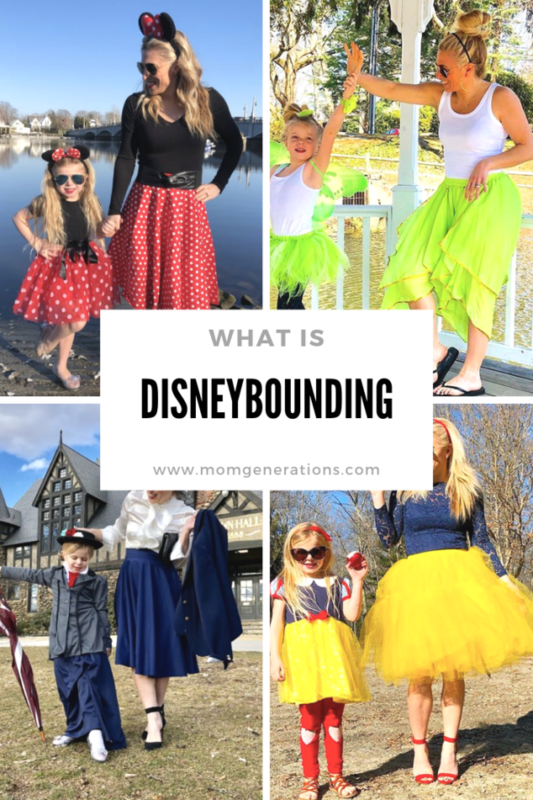 So the next time you hear someone ask you, “What is Disneybounding?” Send them to this post!! It’s here for them! This looks so fun. Disney is so fun! I should make Disney outfits to wear at Halloween! These dresses are adorable! I love these disney outfits! 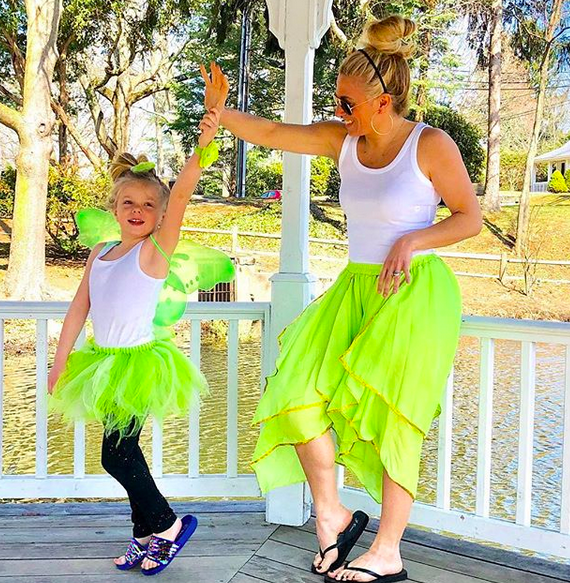 Disney outfits are SO freaking adorable…I wish I had little people to do this with! The Minnie outfits were my favorite! i took my girls to disneyland every year and they would wear their favorite dress and it was magical! Oh my gosh how fun. I love your outfits, so creative. I’ve never heard of this before! 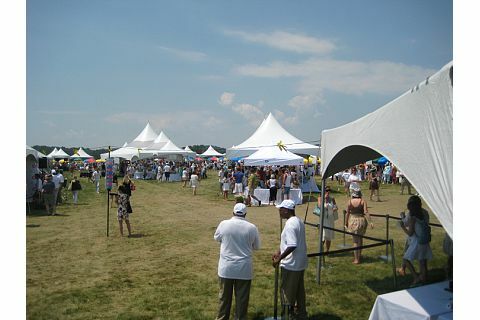 This looks cool and fun! Thanks for letting me know what Disneybounding means. I just thought it was someone on their way to Disney or someone who wanted to go there. 😂 Very Cute way for you and your daughter to bond and make memories. Love the outfits. Your outfits are sweet!! We have annual passes to Disney World and I love seeing all the small children in the Disney Character clothing. This is such a cute idea. I love that you do not have to go out and buy all sorts of things to pull this off. 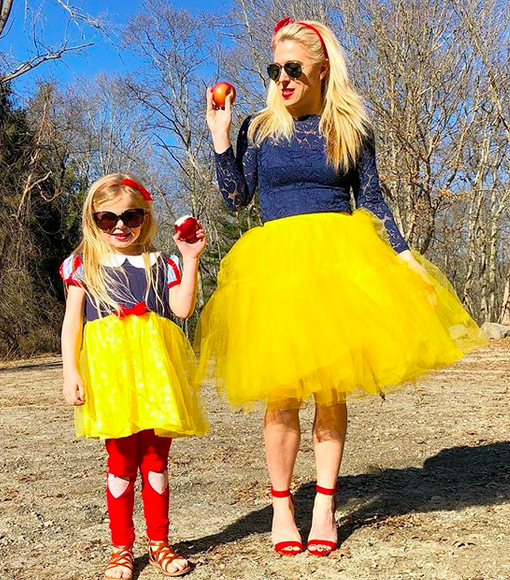 It is a great way for a mommy daughter dress up play.